A luscious mix of shea butter from the Karite nut is combined with high quality organic cold pressed plant infused plant oil. Essential oils provide a wonderful aroma that melts into the skin. 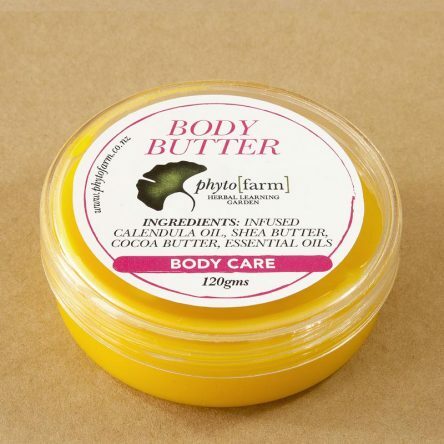 Apply generously to legs, knees, arms and elbows for a smooth soft silky feel to the skin.